This stunning fitted gown is perfect for a romantic garden wedding, outdoor venue, or traditional ballroom! Delicately designed with an intricate hand-beaded sequin tulle over a layer with a soft glitter, giving it a stunning shimmer throughout! 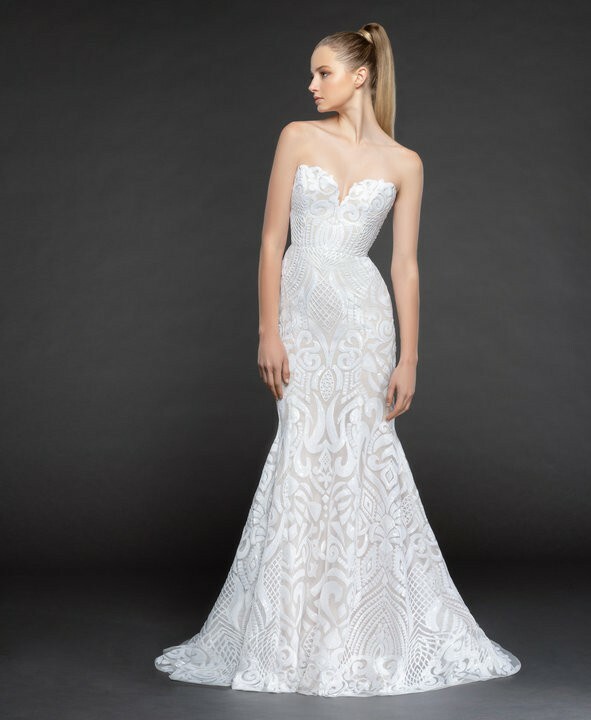 The scalloped sweetheart neckline gives the dress a very romantic look, and a design that will stand out in the crowd! The beaded tulle is in an ivory shade over a cashmere lining to give it a subtle contrast of tones.